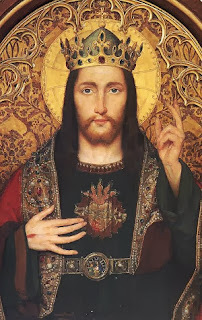 "When Saint Charles was dying he had the picture of the dead Christ brought to him, so that he could die happily in the thought of his Savior's death. And this is really the remedy for all those who fear death: to think often of Him Who is our life, and never to think of one without the other." About fifty years after the Protestant heresy had broken out, our Lord raised up a mere youth to renew the face of His Church. In 1560 Charles Borromeo, then twenty-two years of age, was created cardinal, and by the side of his uncle, Pius IV, administered the affairs of the Holy See. His first care was the direction of the Council of Trent. He urged forward its sessions, guided its deliberations by continual correspondence from Rome, and by his firmness carried it to its conclusion. Then he entered upon a still more arduous work - the execution of its decrees. As Archbishop of Milan, he enforced their observance, and thoroughly restored the discipline of his see. He founded schools for the poor, seminaries for the clerics, and by his community of Oblates trained his priests to perfection. Inflexible in maintaining discipline, to his flock he was a most tender father. He would sit by the road-side to teach a poor man the Pater and Ave, and would enter hovels the stench of which drove his attendants from the door. During the great plague, he refused to leave Milan, and was ever by the sick and dying, and sold even his bed for their support. So he lived, and so he died, a faithful image of the Good Shepherd, up to his last hour giving his life for his sheep. "After the Council of Trent he was much occupied with the production of the catechism embodying the teaching of the council, the revision of the Missal and Breviary." "the education of the young, even down to minute details, was foremost in his thoughts." 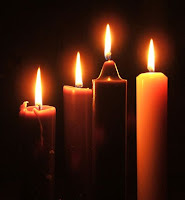 "Another great work which was begun at this time was that of the Confraternity of Christian Doctrine, in order that the children might be carefully and systematically instructed. 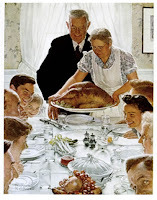 This work was really the beginning of what is now known as the Sunday school." "In November he began a visitation as Apostolic visitor of all the cantons of Switzerland and the Grisons, leaving the affairs of his diocese in the hands of Monsignor Owen Lewis, his vicar-general. He began in the Mesoleina Valley; here not only was there heresy to be fought, but also witchcraft and sorcery, and at Roveredo it was discovered that the provost, or rector, was the foremost in sorceries. Charles spent considerable time in setting right this terrible state of things." "Next he visited Bellinzona and Ascona, working strenuously to extirpate heresy." "The Council of Trent initiated a remarkable organization of the Church's catechesis. Thanks to the work of holy bishops and theologians such as St. Peter Canisius, St. Charles Borromeo, St. Turibius of Mongrovejo, or St. Robert Bellarmine, it occasioned the publication of numerous catechisms." 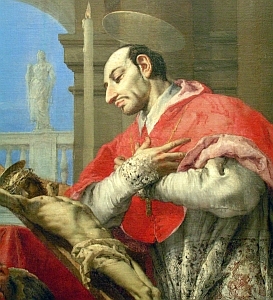 St. Charles Borromeo was indeed one of the great Catholic Counter-Reformation saints, taking the decrees of the Council of Trent and employing them in the Diocese of Milan and throughout Italy with the utmost tenacity and vigilance. Interestingly, he was surrounded by saintly people throughout his life. He consulted St. Philip Neri when constructing the rule for the Oblates of St. Ambrose, and gave First Communion to St. Aloysius Gonzaga. He counted as friends St. Edmund Campion, St. Francis Borgia, and St. Andrew of Avellino. His last words were "Ecce venio" (Behold I come). O saintly reformer, animator of spiritual renewal of priests and religious, you organized true seminaries and wrote a standard catechism. Inspre all religious teachers and authors of catechetical books. Move them to love and transmit only that which can form true followers of the teacher who was divine. Give me the ability to teach this faith to others without pride, without ostentation, and without personal gain. Let me realize that I am simply an instrument for bringing others to the knowledge of the wonderful things God has done for all His creatures. Help me to be faithful to this task that has been entrusted to me. Amen. St. Charles Borromeo, patron saint of catechists ... ora pro nobis! 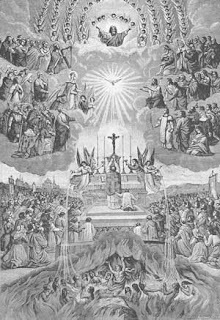 Since today is All Souls Day and the month of November is the month when we remember the souls in Purgatory and make a special effort to pray for their speedy entrance into heaven, I thought it would be helpful to provide some resources that explain what Purgatory is. If anyone has any questions about this topic, just leave me a comment. Purgatory? Where Is That in the Bible?